Joomla is a great CMS platform available as open source for web designers, SEOs, and numerous companies to aid them for developing their websites efficiently. Joomla is available with exhilarating features and themes that provide spanking look to the websites as well as features full of functionality. 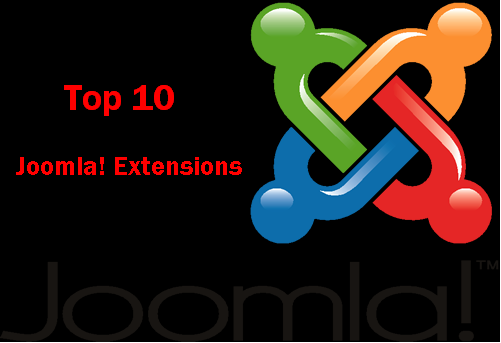 With its amazing must have Joomla extensions has become the best CMS platform. Community builder is a popular extension from Joomla family which provides the easiest method to operate social networking faster through your site. This is a solution that avail certain special tools that help you to maintain a web community for your site. This is feature rich extension secure, reliable and available for free. Another most admired extension of Joomla is JCE; this is a feature that edits the content with its available WYSIWYG editing tools. With this feature writing error free content is very easy. Virtue Mart, the next popular extension from Joomla is an e-store solution that helps in selling goods/services with perfection and helps in expanding your trade. This is a tool which is high in performance, user friendly and safe too. This Joomla extension provides SEO support to your site. This helps in availing SEO friendly text to your site. SH404SEF is easy to arrange and available with endless utility options. This is another extension available as an open source for CMS back up management. With this feature one can save the entire back of your site in one archive including screenshots, docs’ files, and installer too. Jumi is another useful extension provided in an assembly of customized codes to be used for Joomla. It embraces variant files like PHP, CSS, HTML, and text files on your Joomla server. This extension is available for free as a reliable and safe. The explorer from Joomla is renowned as file transfer protocol manager that helps in browsing, uploading, searching, editing, copying, renaming, deleting and directing the archive files to your server. With the help of Joomla explorer one can easily perform various functions. GTranslate is a translating module that helps in translating the web page with the Google help. This is an extension which is able to translate in about 58 languages and can be reached by 98% users at a time. Gtranslate comes with features like analytics, XHTML validation, compatibility with 1.6 x Joomla, and mouse above upshots. One can install Phoca gallery extension from Joomla to present the images on your site in appealing formats. By using this gallery you can save the save on your site by using a slideshow by Phoca gallery. MiniFrontPage is one of the latest extensions from Joomla gaining popularity for its admirable performance. It displays the latest content added in the module to you and helps auto generation of images, customized links and content related content.